You are the only visitors on the Island, so take advantage of special Park Programs during the course of the evening and enjoy breathtaking views of San Francisco as night falls. 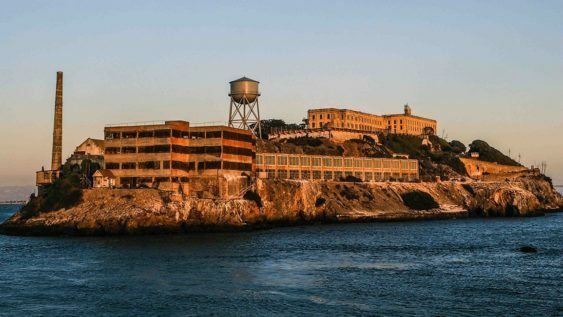 One Funcheap winner will win a pair of Alcatraz Night Tour tickets good any date through June 30, 2019. Experience the many moods of Alcatraz Island with an evening visit. Enjoy the beauty of a sunset silhouetting the Golden Gate Bridge and hear compelling stories about the Island’s history and residents. Evening talks may include topics such as the life of a colorful inmate, books authored by residents, sports enjoyed on “The Rock,” escape attempts, or recipes from the kitchen. The Alcatraz Night Tour is a unique program limited to just a few hundred visitors per evening that includes special programs, tours and activities not offered during the day. The Night Tour departs from Pier 33 at 5:55pm and 6:30pm. The Night Tour departs Alactraz back to San Francisco at 8:40pm or 9:25pm. Want to double your chances of winning? Be sure to enter on our Instagram page too. Sorry! The contest for Alcatraz "Night Tour" & Boat Cruise | SF has ended.